A trip around the huge grounds of Safari World guarantees sights of a range of animals in a safari experience. You can use your own car or go on an official tour to see the creatures in expansive settings. This "zoo-plus" features a large marine environment, bird cages, and even the chance to feed giraffes. Note that there have been many reports of poor treatment of animals here. Safari World is just one of the many highlights you can arrange to see using our custom trip planner, Bangkok Edition. Must visit once if you are in Bangkok. Safari world is amazing and one of its own creativity. It is like a separate part of the city with all type of Animal species. Various shows by various animals at difference timings was very much amazing. 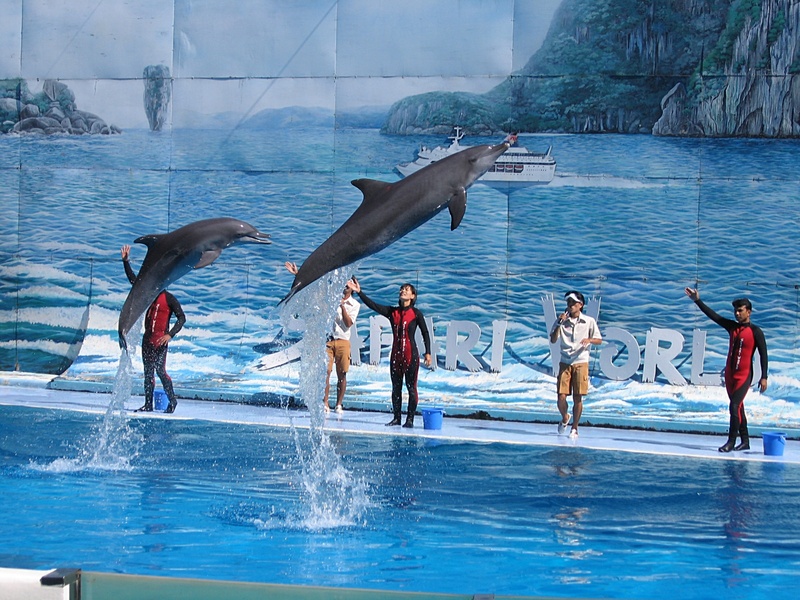 The Dolphin dance , Sealion show, Cowboy show, Elephant show and various such shows will attract you and these creatures are amazing in their shows. There is a different room where you can feed parrots and click pictures with them. It is a very big area and to cover all shows you need to read maps properly in a team, if you are alone then you will get confused. you will get many Indians also over there. Kids will love to visit this place. There are all types of animals over there. Even lions and tigers are waiting for you there. You will get veg lunch over there in restaurants, inform your tour guide in advance. Memorable for life, must visit. This is a perfect place if you love animals or zoos. Its perfect for children as well as for adults. 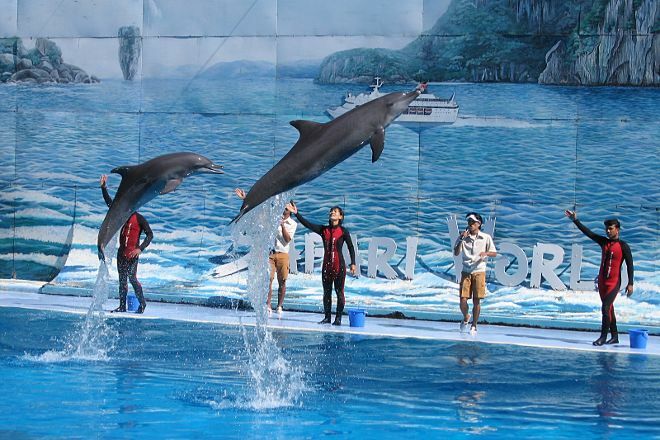 The visitors can enjoy various animal shows like the sea lion show, parakeet show, orangutan show, dolphin show etc. You can also feed the giraffes. There are various eateries and souvenir shop. The toilets are clean too. There is a lot of rush usually as this place is a popular tourist destination. I personally loved the exhibits and the elephant show.